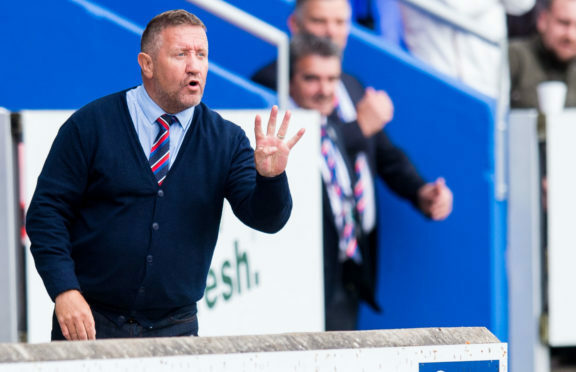 Caley Thistle manager John Robertson is determined to start converting draws into victories following his side’s 1-1 Championship draw away to Dundee United on Saturday. Inverness racked up a fourth successive stalemate against United at Tannadice, with the result extending their run of league matches without defeat to 20. Caley Jags are third in the table, five points behind leaders Ross County, and with Saturday’s trip to second-bottom Alloa Athletic the first of three matches in a week, Robertson wants his side to add to their three league wins so far this term. Robertson said: “It’s another game on the unbeaten run, which in that respect is nice, it’s good for the players. It shows the bravery of them. “We have three matches in seven days coming up, with Alloa on Saturday, Dunfermline in midweek and then Ross County at home. “We’ve just got to keep ticking off the games and try to turn some of these draws into wins. “We need to start picking up three points instead of one, although Saturday was a valuable and hard-earned point for us because I felt United probably deserved all three. Although Robertson conceded Inverness were not at their best against United on Saturday, the Caley Jags boss was pleased with their response to going a goal down early in the second half. He added: “In the end it was a brave point for us. United will be disappointed that after they scored their goal they didn’t add to it. “I’ve got to commend my players for their superb attitude. They never give up and that’s why we are on the run we are on at the moment. “We have not gone behind very often to be fair, but there’s a resilience about us at the moment. That’s us played every team and we are a match for every team. Attacker Jordan White netted his fourth goal since his summer move from Barrow, and Robertson feels he is being kept on his toes by a number of his fellow forwards, adding: “Jordan gives us a good platform to play from, while we brought on fresh legs in Daniel MacKay and Aaron Doran who showed their threat when they came on.